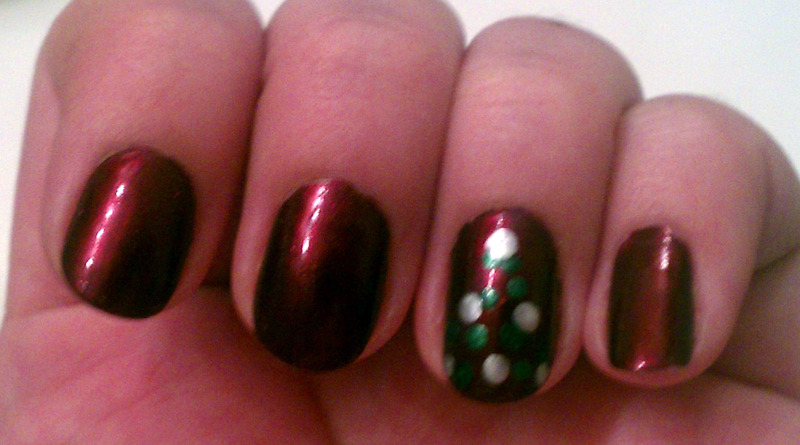 Here is a quick guide to making your own Christmas Tree Accent Nail last minute on just a basic red manicure. 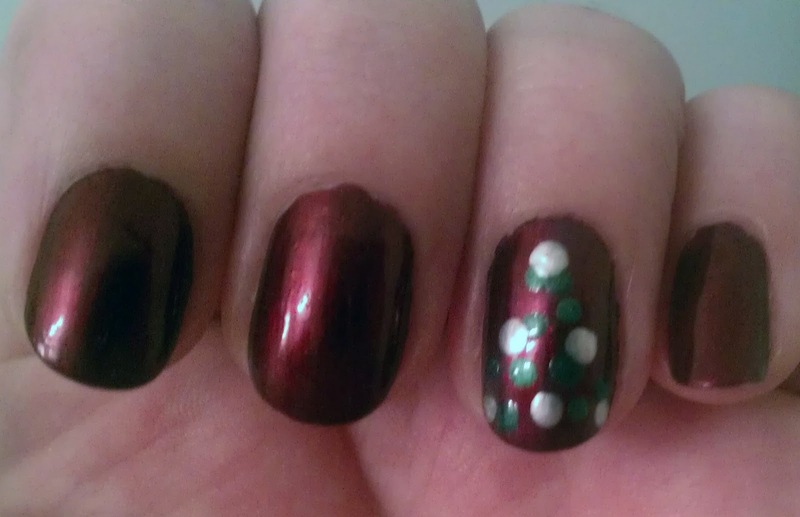 This is great for dressing up your nails without going full on Christmas themed. The schematics here are incredibly simple. Get your tools. I choose to use the same colors as my Green Christmas Marbled Nails, plus one additional green, Sinful’s slightly lighter green. 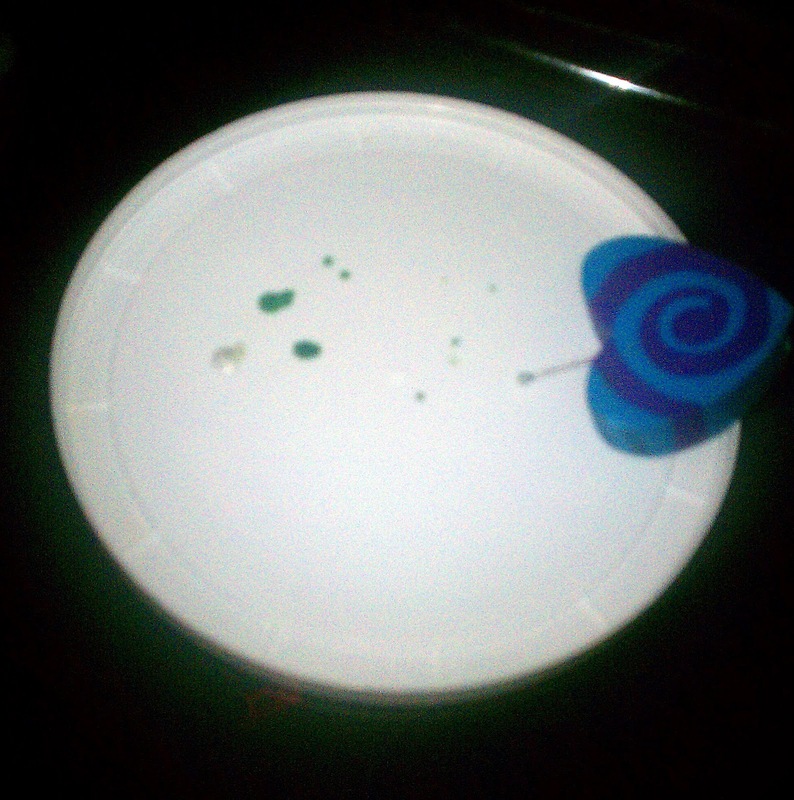 Put ONE DROP of each on some sort of non-porous surface. I used the top of a yogurt container. Get your dotting tool ready. If you don’t have one check out my post on how you can make your own dotting tool right now. Get your nails done. Or do them yourself. I went with a darker red first (because I didn’t know I was going to want to do an accent nail!) 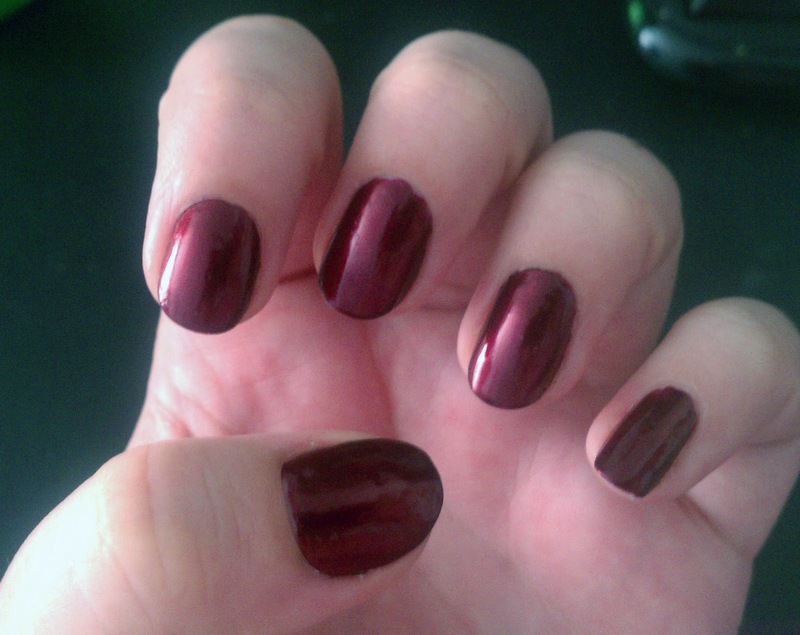 I used Zoya’s Blair, one of my new faves, but if you were doing a manicure just for this look, do it in a lighter red. Let completely dry. Using your dotting tool, make 2-3 dots with your dotting tool of each color, spaced out depending on the size of your nail. Make sure to leave room at the edge of your cuticle/base of your nail so you can put one drop of something (I used white, you could use yellow or whatever you want) for a tree topper! If you want it to look more geometrical instead of random, I suggest working your way up row by row, alternating colors. Make sure to go all the way across the tip of your nail for maximum tree resemblance. That’s it! You are done! Remember to let this nail dry extra-long before putting a clear coat on, as the dots hold a little more nail polish then a flat coat.